Why choose Scruffy Joe's Cat Grooming? All grooming undertaken in a low stress grooming environment, using gentle handling techniques. Click here to read more about my holistic approach. 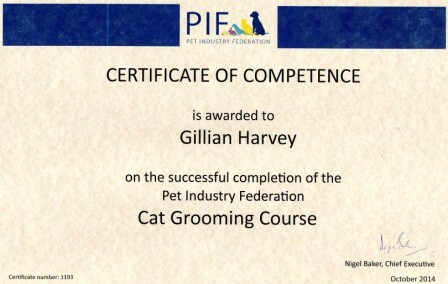 The grooming tools and equipment I use have been chosen specifically with cats in mind, designed to be as non-intimidating as possible. Owners very welcome to stay, in fact this is encouraged as I have found cats to be reassured by having their owners present. Nervous and elderly cats are given time to acclimatise before grooming starts and given plenty of breaks if necessary.